A patient at Mass. General undergoes the controversial cancer treatment. Massachusetts General Hospital in the next few weeks will launch a large, long-awaited test of whether a controversial cutting-edge proton beam therapy is more effective than standard radiation treatment for prostate cancer. Proton beam therapy, a targeted and controlled way to administer radiation to a tumor, has become a flashpoint in the debate over health care reform. The expensive therapy is being used across the country and in some cases advertised directly to the general public before it has been deemed superior to standard radiation treatment, which costs about half as much. For years, doctors and federal health agencies have called for a scientific study like the one led by Mass. General, which will enroll its first patients by early June. The five-year study will take place at a half-dozen centers across the country, including the University of Pennsylvania. During that span, the number of therapy facilities, each of which can cost as much as $200 million to build, is projected to at least double across the country. ‘‘Is the additional cost for proton beam therapy worth it?’’ That’s the question for Dr. Jason Efstathiou, an assistant professor of radiation oncology at Harvard Medical School. 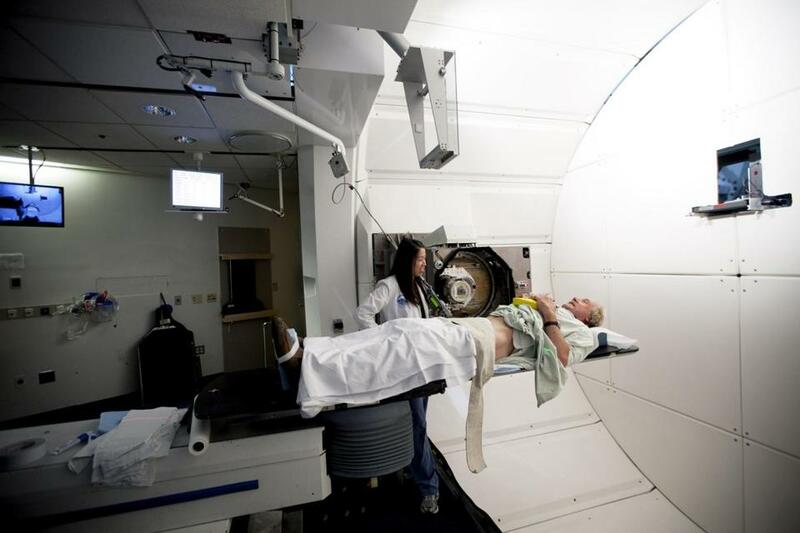 Proton therapy has theoretical advantages: It allows doctors to precisely target radiation to reach a certain depth in the body, which can reduce exposure and possibly mitigate side effects. But there is little consensus on whether that translates to better care, except in a handful of rare cancers - including pediatric cancers of the brain and nervous system or cancers in delicate areas such as the eye. “By exposing less normal tissue to radiation, you will ultimately cause fewer secondary malignancies; that’s one of the serious, devastating late effects of radiation in children,’’ said Dr. Karen Marcus, a pediatric radiation oncologist at the Dana-Farber/Children’s Hospital Cancer Center. But thus far, studies of proton therapy in prostate cancer - far more common than those rare cancers - have had limitations and provided mixed results. And it costs significantly more: around $48,000, or double that of standard radiation therapy, according to a 2008 report from the Institute for Clinical and Economic Review. The American Society for Radiation Oncology’s emerging technology committee published a review earlier this year that said proton beam therapy was effective in treating prostate cancer, but found no evidence it was better than standard radiation therapy. A study published last month in the Journal of the American Medical Association found a suggestion that, contrary to popular belief that it would cause fewer side effects, proton therapy caused more gastrointestinal problems than the most commonly used radiation therapy. That study was met by criticism and doubt by some in the medical community. Dr. Ronald Chen, a radiation oncologist from the University of North Carolina at Chapel Hill who led the study, acknowledged that it had limitations but said the suggestion that proton therapy is not better - and might even have worse side effects - adds urgency to answering the question definitively. At Mass. General, where about 800 patients receive proton beam treatment annually, fewer than 10 percent are prostate cancer patients. However, Leonard Arzt, executive director of the National Association for Proton Therapy, an advocacy and awareness organization funded by dues paid by proton centers, said some other centers are treating more than half their patients for prostate cancer. Mass. General and the National Cancer Institute will be underwriting the study, which will cost roughly $5 million over the five years, Efstathiou said. Ultimately, the study will follow 700 prostate cancer patients. Half of those will be randomly assigned to receive proton therapy or standard radiation therapy. The other half will receive whatever course of treatment they and their doctor had decided on, but also will be followed as part of the trial. 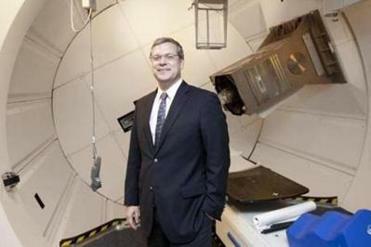 Terrance Monnie, a lawyer from Cincinnati who had proton therapy in Boston last year after learning about it from friends who had undergone the treatment, said he welcomes the study. His own experience was positive. He opted for a very aggressive treatment of the cancer and said that no signs of cancer were detected in follow-up blood tests. Still, many in the medical community are eager for hard evidence, and the question is becoming increasingly important as controlling health care costs becomes an increasingly higher priority. “The challenge in health reform is not to spend less on health care, but to focus health care resources where they produce the most good, they improve health the most,’’ said Katherine Baicker, a professor of health economics at the Harvard School of Public Health. “That involves cutting back spending on care that doesn’t improve health outcomes - especially on expensive care,’’ Baicker said. With the lack of evidence about the therapy’s superiority over existing treatments, the deciding factor in whether a patient gets it may be as simple as where he lives. Dr. David Aaronson of Kaiser Permanente Medical Group in Oakland, Calif., recently led a study in his state that found having a facility within a hospital’s referral region increased the likelihood a patient would be treated with the technology.